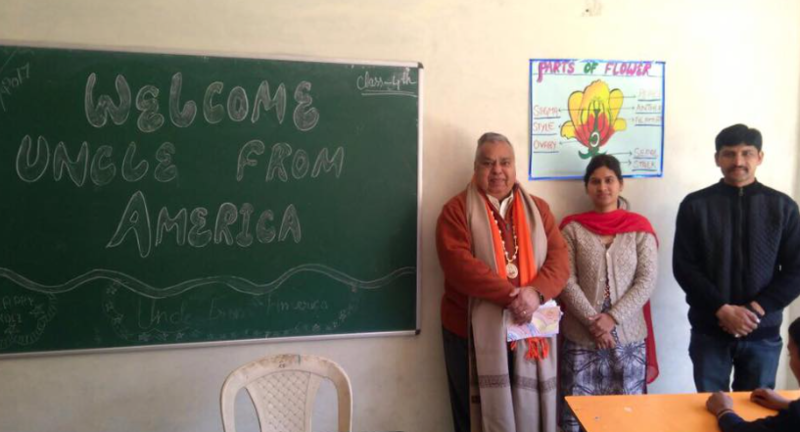 Ramesh Malhotra has contributed funds to build a new school close to his home town in Solan, India. 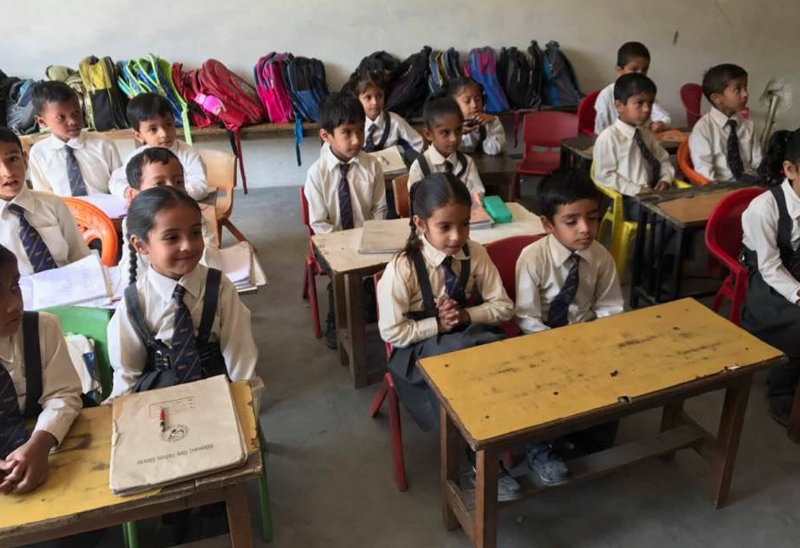 The construction of the new school started in December 2014, follow our Progress Reports and Photos of the construction of the new Vivekanand Vidya Niketan (VVN) School, Sadhupul, near Solan in northern India. 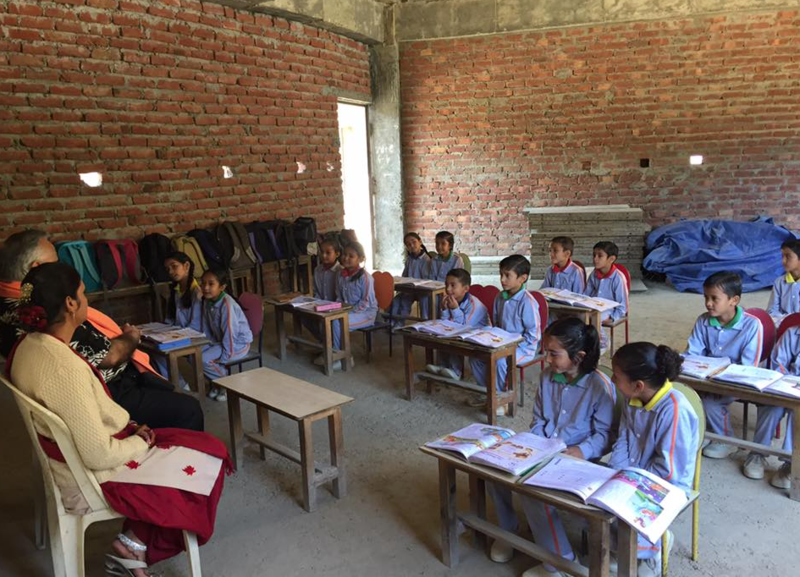 The Vision of the New School and Community Center, in Sadhupul. 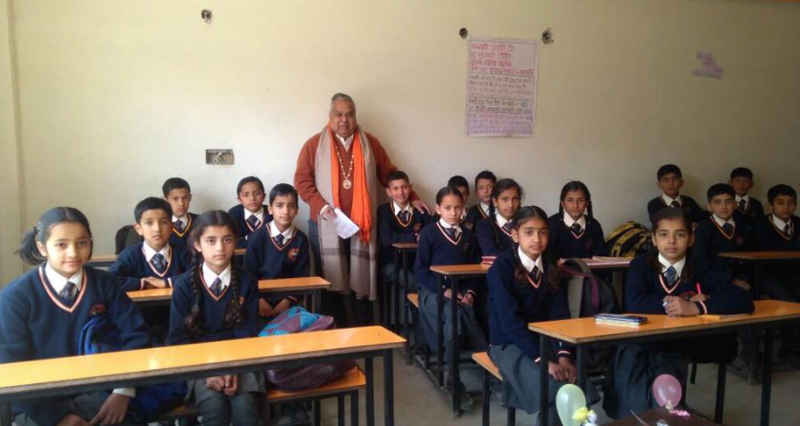 Ramesh is donating all proceeds from his book sales of Spiritual Wisdom to the Vivekanand Vidya Niketan (VVN) School. 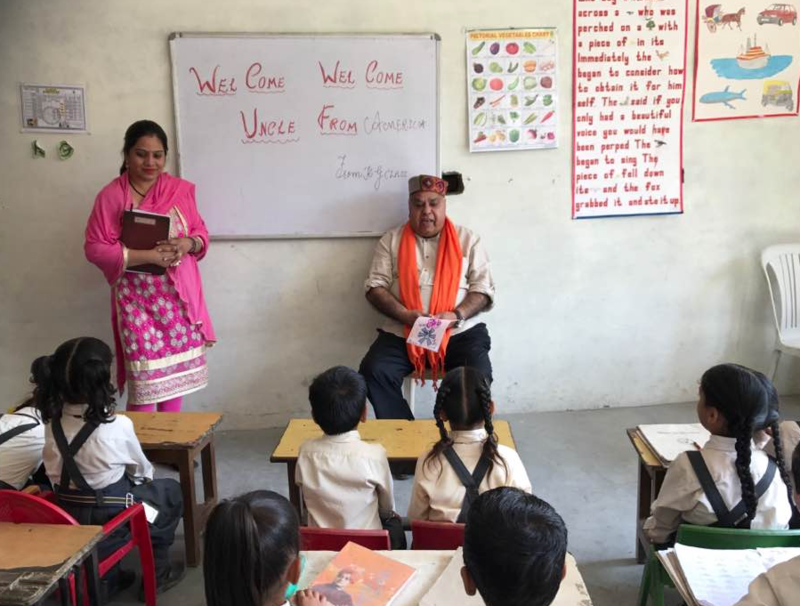 In 2011, Ramesh Malhotra, initiated funding for a new elementary school building to be located near where he received his primary school education. 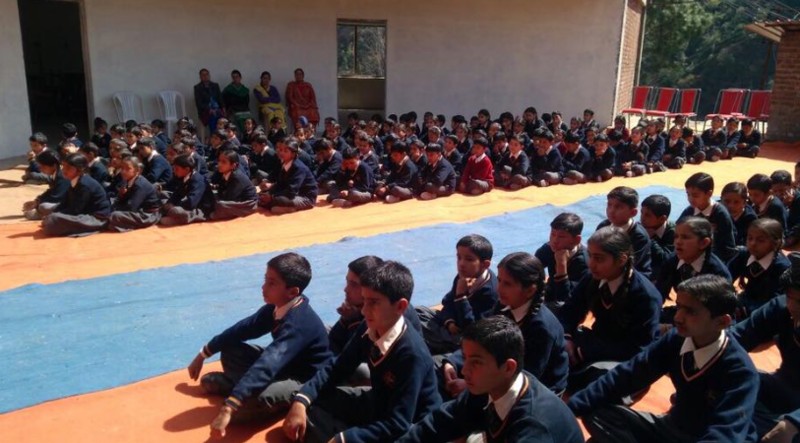 The school is called the Vivekanand Vidya Niketan (VVN) School, Sadhupul and is located in the Himalayas, near the Sadhupul River between Solon and Chail in the state of Himachal Pradesh in Northern India. 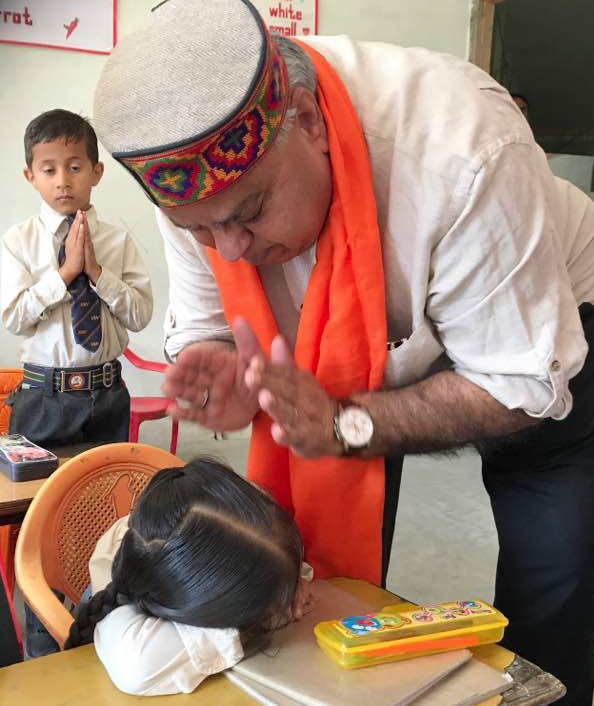 Its aim is not only to impart education to the students but also to instill in them the qualities and virtues which keep the eternal Indian culture and spiritual heritage glowing. 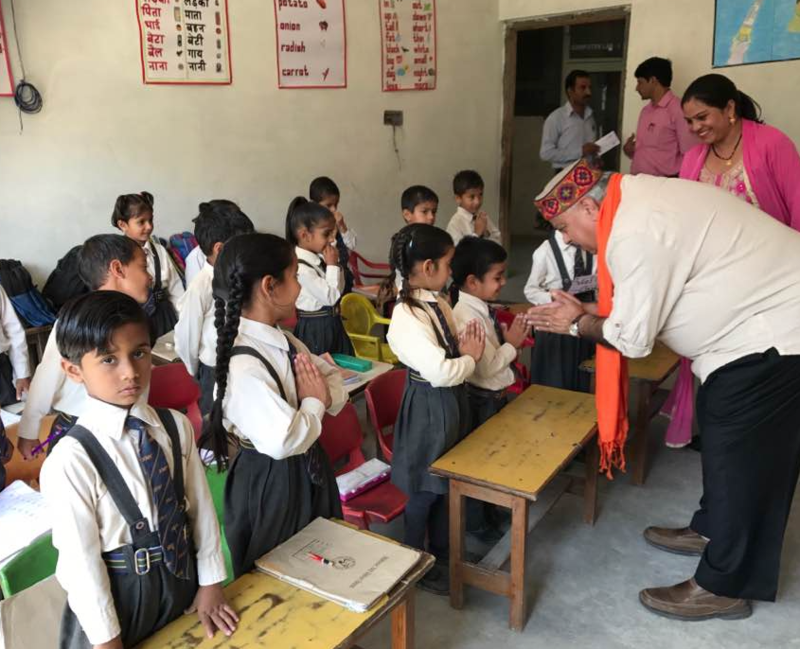 The teachers want to foster in the students the knowledge to gain courage and self-confidence so that they may carry forward the great traditional values of their ancient land. The new school March 2017. 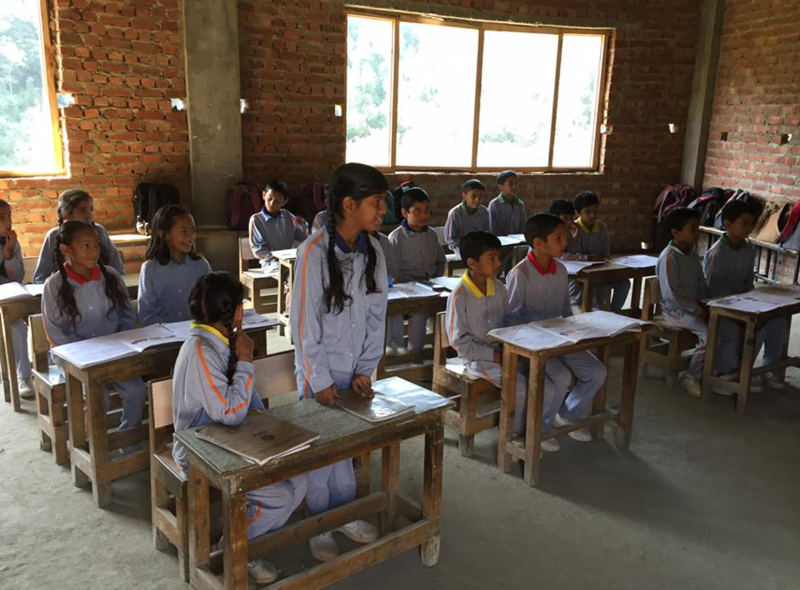 The inside of the school has been painted, now they wait for tile for the floor and walls. 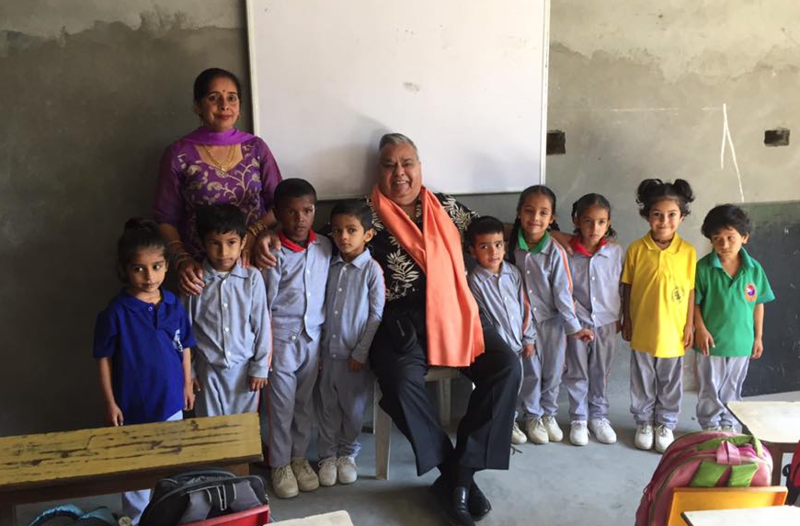 Ramesh reading with children in a classroom. Where is Sadhupul located ? Sadhupul is a small village in (dhalta) Himachal Pradesh between Solan and Chail, located at the site of a small bridge constructed over the hill river "Ashwini". Solan is the district headquarters of Solan district in the northern Indian state of Himachal Pradesh. 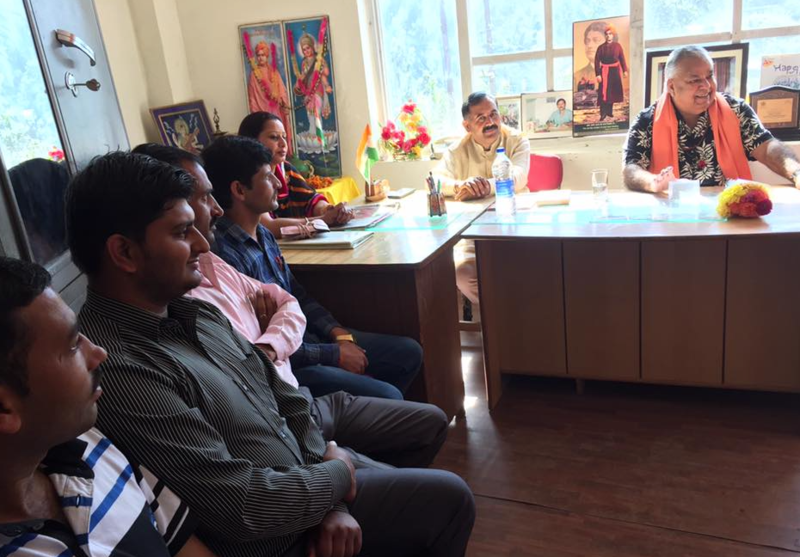 The largest Municipal Council of Himachal Pradesh, it is located 46 kilometres (29 mi) south of the state capital, Shimla. At an average elevation of 1,600 metres (5,200 ft). "Jatoli Shiv Temple. It is one of the oldest temples of Lord Shiv where an ancient linga is the also placed since a long time. It is believed that the temple was once the resting place of Lord Shiva. Jatoli Shiv Temple holds the tag of being the highest temple in Asia; it took 39 years to complete the construction of the temple." "Mohan Shakti Heritage Park is an upcoming heritage park aimed at studying the Vedic Sciences and educate the younger generation about the findings of the Vedas and ancient Indian Culture". 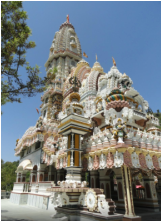 "Krishna Bhavan Mandir temple is a classy shrine located in the middle of Solan. The temple is dedicated to Lord Krishna and is highly revered by the Hindus. Unique yet magnificent, the temple was built in the year 1926. The architecture of the shrine is a unique blend of Indian and European style. The most interesting part of building is that its structure is quite familiar to a church." "Bon monastery in Solan is the second oldest Bon monastery in the world. The monastery is highly revered by the people of the Bon community. The Bon community is even older than the Buddhist community though the principles are the same. Perched on a hill top, the Bon monastery offers picturesque views of the town and snow-capped mountains. Among the many Tibetans who fled their homeland since the Chinese occupation of Tibet in 1959, many are Bonpo, followers of Bon, which is the oldest spiritual tradition of Tibet." 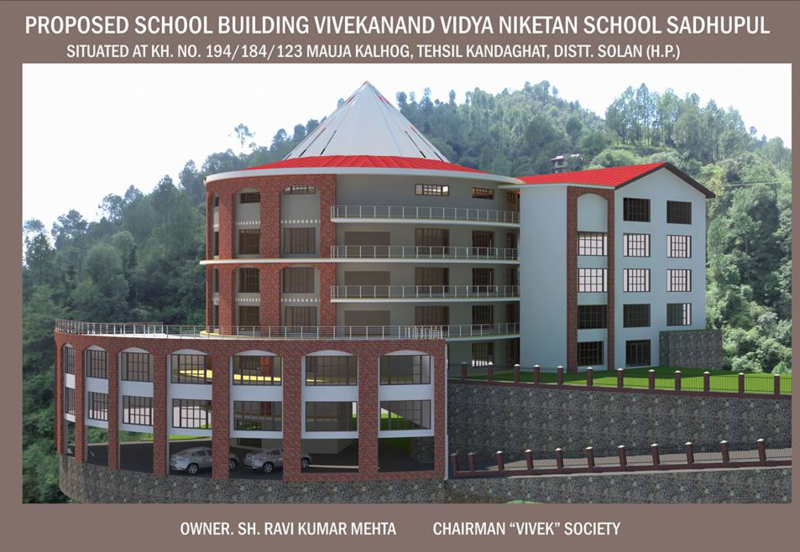 The construction of the new school started in December 2014, and is planned to be finished by the end of 2016, follow our Progress Reports and Photos of the construction of the new Vivekanand Vidya Niketan (VVN) School, Sadhupul, near Solan in northern India.